flow of the opencart login functionality is as shown below. The screen looks like as below at this url. 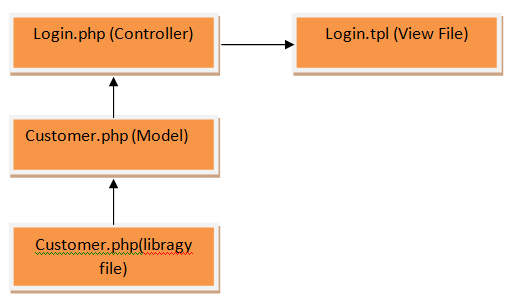 login controller contains two functions index() and validate(). this line call the model login method and its successful it will returned back to the index() method else it will show error message. Here at login() method it will check for if email and password is exist in database or not and also check if user status is active. If it exits than It will return true. Its my first post on opencart. will post more posts in future . if you need any specific post please feel free to contact me. hello, I hope you can help me about my problem. I have fresh install of opencart ver. 3.0.2.0. with no errors, renamed both confir-dism.php s as config.php,,, renamed .htaccess checked all the things …. main page shows fine but when I try to login to admin page with correct user and password ..page says nothing and refreshes the page again. website name and ….. /admin/index.php?route=common/login&user_token=2wCLKYiD4a7YKuIIzJg3Edsl3KyW4fEV what is the problem you think? couldn’t find any answer about it. 2) .htaccess file is not properly written. if still problem is not solved you may please feel free to contact me at my email. Hi i want to login with telephone or email. you need to change the flow in login functionality of opencart. you may contact me at admin@sarthakinfotech.com and you may send me more details regarding your need. and yes thanks for the contact. But. it not works. still only email login alone works. Can you please help me to clear this problem. sure I will check it out and will sure help you . most probably I will make free extension so other can also get benefit. which version of opencart are you using ? you may try below code . I just tested and it worked fine for me. $customer_query = $this->db->query(“SELECT * FROM ” . DB_PREFIX . “customer WHERE LOWER(email) = ‘” .$this->db->escape(utf8_strtolower($email)) .”‘ “.” or telephone = “.$this->db->escape(utf8_strtolower($email)) . $customer_query = $this->db->query(“SELECT * FROM ” . DB_PREFIX . “customer WHERE LOWER(email) = ‘” .$this->db->escape(utf8_strtolower($email)).”‘”.” or telephone = “.$this->db->escape(utf8_strtolower($email)) . Hello sir., Now im in another problem., 🙁 Can’t able to login as customer through admin dashboard. 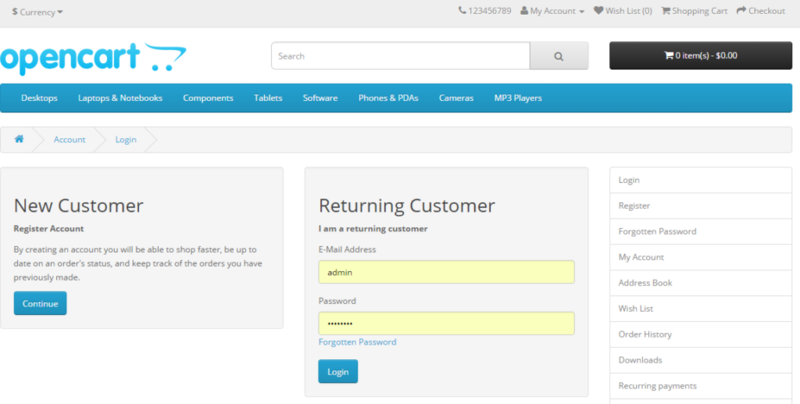 I had revert back all changes but still unable to login as customer through admin dashboard. Awaiting for your response Thank you.